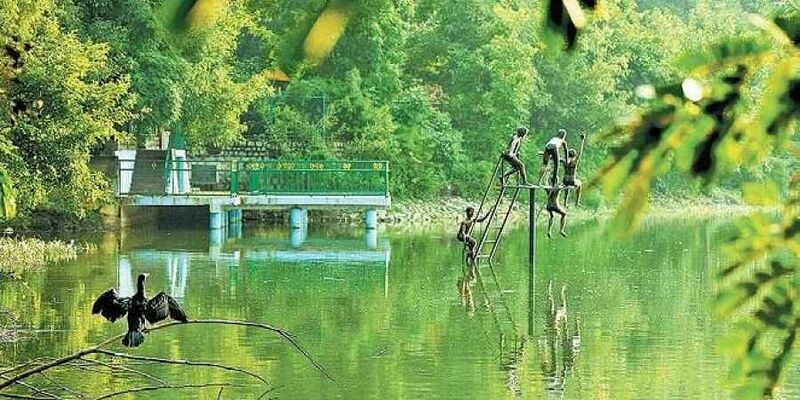 The Shanthala Doni Vihara Kendra will open at the 1,400-year-old lake today. BENGALURU:Residents of Yediyur in South Bengaluru and tourists will soon be able to enjoy boat rides as the Bruhat Bengaluru Mahanagara Palike (BBMP) is all set to inaugurate a new boating centre in Yediyur lake. The Shanthala Doni Vihara Kendra will open at the 1,400-year-old lake today. In a press statement, Poornima Ramesh, corporator of Yediyur, said, "We have planned pedal boats to attract tourists, but have avoided motor boats, so as to not disturb the birds. One hundred forty one bird species from 59 countries flock the lake at different times of the year, making it a hot spot for bird lovers." The centre with eight boats, is a tribute to the Hoysala Kingdom. "Nine hundred ten years ago, Hoysala queen Shantala, wife of King Vishnuvardhana, visited Yediyur lake to perform a pooja and fed hundreds of people. As a tribute, we will name the boats after historical figures from that era," she added. The boating centre will be open from 9 am to 6 pm. The inauguration will take place at 10.30 am on Thursday, in the presence of BBMP Mayor Gangambike, Deputy Chief Minister Parameshwara and MLA of Padmanabhanagar constituency, R Ashok. The park around the lake already has a 1.5 km walkway called 'Vayuvihara Marg', a gym and children's park, which sees several joggers, walkers, bird lovers and photographers every day. There is also a 19- foot-long bronze statue of Swami Vivekananda. NR Ramesh, husband of the corporator said, "There are eight boats, which can be rented for `50, for a a half-hour ride. Five of the boats have four seats and three of them have two seats. There is a central island within the lake which is off limits for boats as migratory birds and sparrows come there. A nylon thread ensures the boats don't cross into this area. We have worked hard to bring back sparrows in this lake. There are almost 12 types of sparrows here. We have made bird houses for them and feed them thrice a day."